Music can be an integral part of the healing environment, facilitating relaxation and pain management. 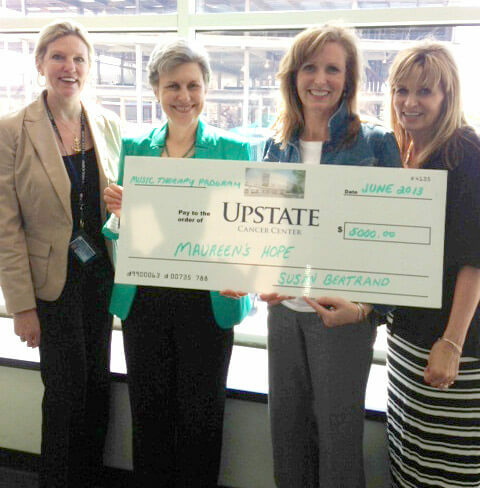 Maureen’s Hope is a sponsor for the new Upstate Cancer Center music program for patients undergoing chemotherapy treatments in infusion areas which offers the healing power of music. During their hospital stays, many patients are confronted with much that is unknown, unfamiliar and uncomfortable. When the patient is a child, the tests, surgeries, treatments and down time can weigh heavily, resulting in stress, anxiety and frustration. As a means to soothe pain and stress, Maureen’s Hope purchased a Vecta Deluxe Distraction Station in 2012 for Golisano Children’s Hospital that has the advantage of being moved from room to room. 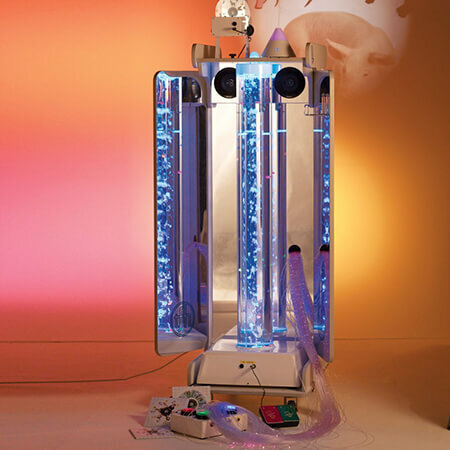 It is designed to offer patients mobile multi-sensory opportunities for therapy, learning, relaxation and distraction. While Maureen was receiving treatment at Sloan-Kettering Cancer Center in New York City, she met a 6 year old girl named Angie who was in the midst of a two-year battle with cancer. Angie’s mother spent nearly all that time at the nearby Ronald McDonald House, which is a place where out-of-town parents and children can stay while undergoing pediatric treatments in the hospital. Through our experience of meeting Angie we learned to understand and appreciate just what the Ronald McDonald House does for people. 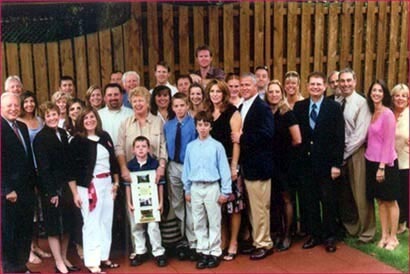 When Maureen passed away, $15,000 was donated from money raised at a benefit for Maureen toward building a playground at the Ronald McDonald House of Central New York. It seemed like the perfect way to remember Maureen and her love of life. 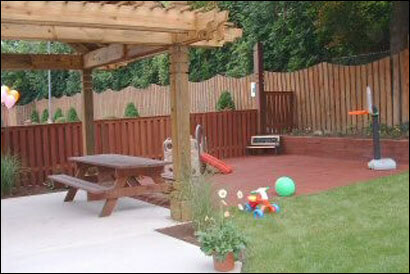 The playground was dedicated at a ceremony on July 26, 2004 and named Maureen’s Place of Hope, Dreams and Imagination. It was moved to the new Ronald McDonald House of Central New York in 2012. What a wonderful way to keep Maureen’s light of hope shining on the children that visit the playground each day. 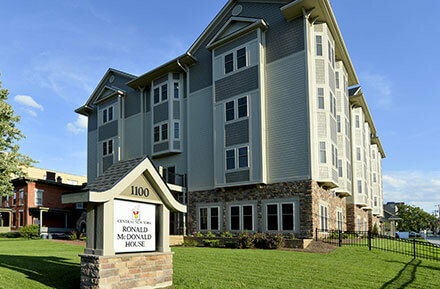 Learn more about the Ronald McDonald House.